How to start a Facebook Messenger group video chat! 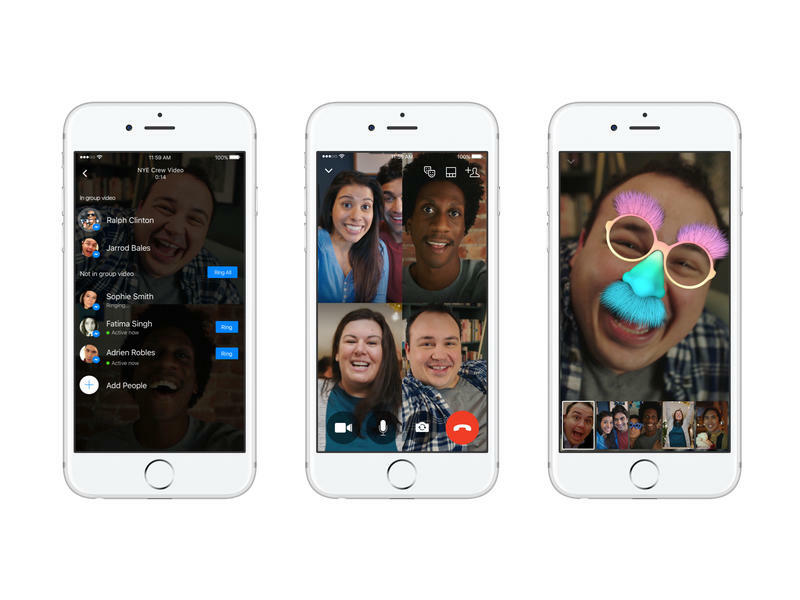 Facebook on Monday officially launched what it says is the most-requested feature: group video chat. Until now, a user could call another person, maybe a family member or friend, but then the duo couldn't add someone else – perhaps grandma or another roommate. Now all three, or more, can chat together seamlessly all from Facebook Messenger on Android, iOS and in the browser. Facebook Messenger Group Video chat allows up to 50 people – yes 50! – to join in on a single video call. There's a tiny little catch, though. Facebook only shows 6 video feeds at a time. That's probably a good thing, who needs to look at a huge array of folks anyway? The rest of the people sitting on the chat can listen and speak and, when they do talk, they'll pop up on the screen. First, launch Facebook Messenger on iOS, Android or the Web. Keep in mind that this is the Messenger app, not the regular Facebook app. If you don't have it installed already, be sure to grab it. Next, start a group conversation with the folks you want in the call. Maybe it's your family members, colleagues or even the entire roster of your soccer team. Then you'll click a small "video" icon on the upper right of the screen to start then group chat. First come first serve for video, it seems, but the call will start even before everyone joins, just in case someone is running late. That's it! Now you're off and away chatting. Use this for keeping in touch on Wi-Fi networks while abroad, too. Think you dig it more than Skype?